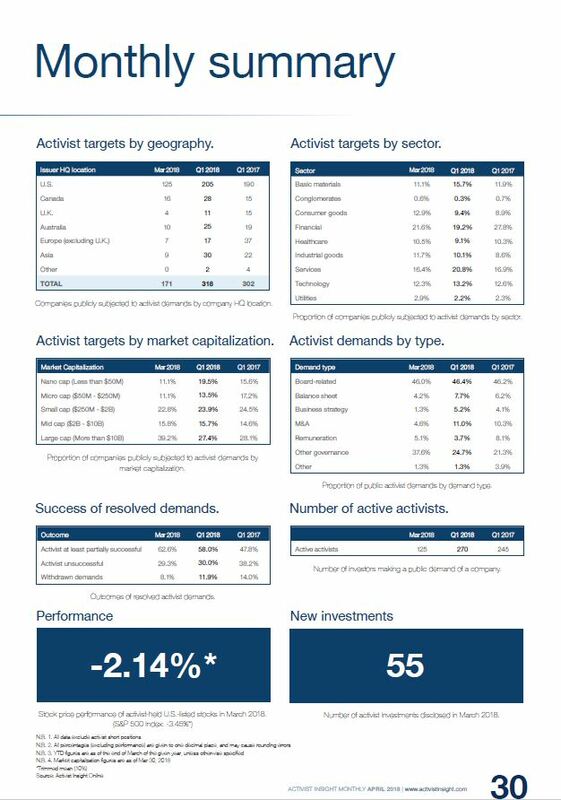 Please see below a fact-sheet containing statistics on activist investments from March 2018 (click on the image itself for a clearer view). The number of companies publicly subjected to activist demands rose in Q1 2018 by comparison with the same period a year ago, led by the hot starts in the U.S., Canada, and Asia. European and U.K. campaigns were less numerous than in the same period a year ago, however. Another notable data point highlights a move away from financial targets to basic materials, services, and industrials as a proportion of the total. We look forward to assisting you with your articles. 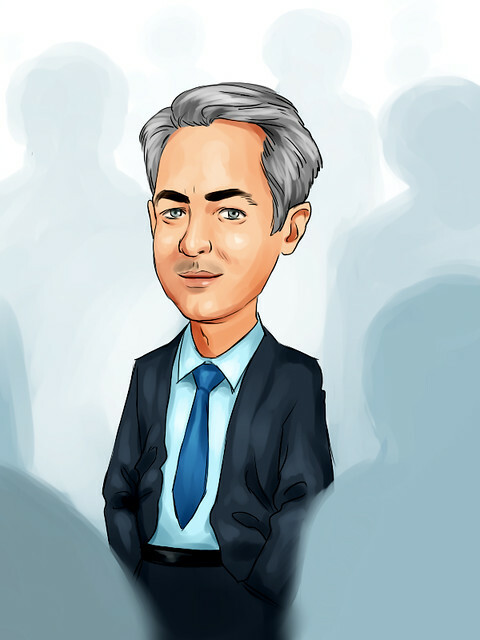 Since 2012, Activist Insight (www.activistinsight.com) has provided its diverse range of clients with the most comprehensive information on activist investing worldwide. Regularly quoted in the financial press, Activist Insight is the trusted source for data in this evolving space. Activist Insight offers five industry-leading products: Activist Insight Online, Activist Insight Shorts, Activist Insight Governance, Activist Insight Vulnerability – a tool for identifying potential activist targets – and Activist Insight Monthly – the world's only magazine dedicated to activist investing.